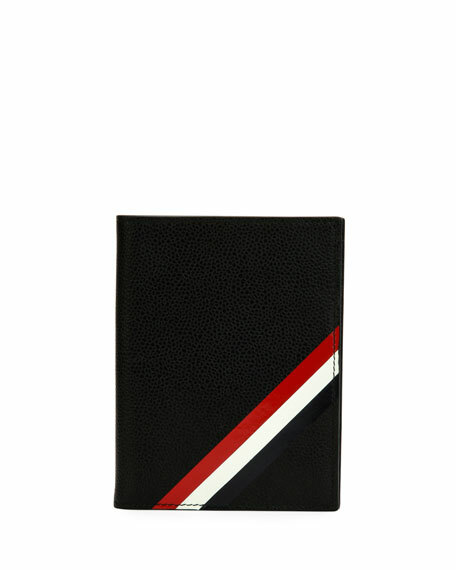 Thom Browne passport holder in textured leather with striped trim. 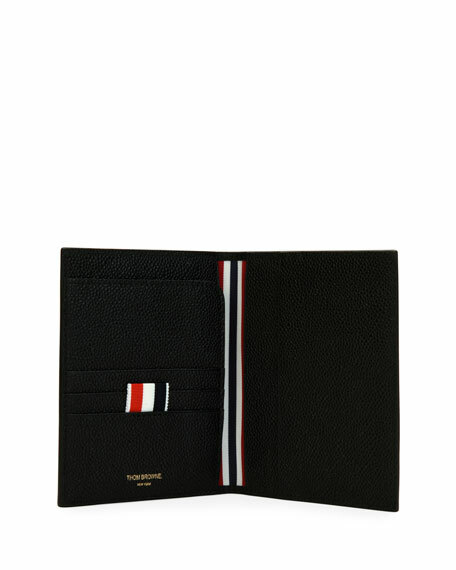 Passport pocket, and two card slots. Golden logo detail in center. For in-store inquiries, use sku #2434711.